Let me tell you about some amazingly effective finger exercises, wrist, and hand strengthening exercises and instruction that will give you ultimate finger strength, speed, dexterity, flexibility, while giving you secrets to preventing carpal tunnel syndrome. They're fun, get fast results, proven, and easy to learn. You’ll rapidly get fantastic finger strength and dexterity that will help you master any sport, activity, or musical instrument you may play. You’ll learn how to easily avoid serious injury that often comes from doing the wrong exercise combinations and from lack of understanding proper finger stretching techniques. This comprehensive finger exercise and hand strengthening course was created by an award-winning concert pianist, martial artist, strength trainer, master magician, sculptor and painter. Directly because of this, you get virtually all aspects of the most important elements that will give you the most supple powerful hands and fingers of steel all at the same time. This isn't a series of cute finger wiggling exercises put together to make a fast buck. Get Bruce Lee-like fingertip strength that can rip and shred with stunning power all the way down to the fingernails – a true peak performance accelerator for athletes to musicians. Gain remarkable lightning-fast speed and endurance without the usual debilitating tension that grip exercises often give you – the constant plague for most, especially musicians. Extraordinary finger dexterity and unique coordination exercises will give you fingers equal independence and power quickly. Not mastering this can hold your progress back for years. 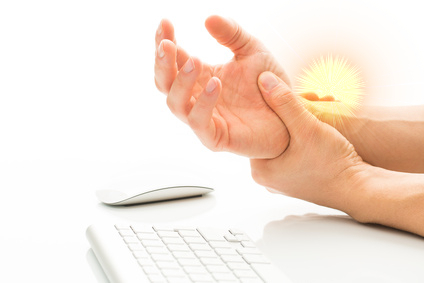 Learn invaluable preventative techniques for carpal tunnel syndrome. Learn secrets to getting optimal body alignment that will energize you and relieve undue stress. While you’re sitting at your computer or musical instrument for hours on end, your shoulders and hands will feel a new aliveness and vigor. Develop flexible steel-like fingertip strength in your hands for intense gripping power. Like the jaws of a pit bull, it won’t give out against the twisting and thrashing movement that always occurs in LIVE sporting events. this is one of the most important components that normal grip exercises fail to give you. Invaluable especially for mountain climbers and MMA fighters. Unique finger flexibility and finger stretching exercises will keep your hands supple, strong, and dextrous way into your elder years. You’ll quickly learn why most finger stretching exercises actually make you less supple and more prone to injury. Begin flowing new energy through your hands to unlock your creativity and a whole new world of expression. “Feel electric” and revitalizing energy that will help you unleash new creative avenues while relaxing you at the same time. Protect your fingers and hands from injury when someone gives you an unexpected death grip hand shake – even if you’re wearing rings. Many entertainers and speakers who have used this tip alone have expressed immense thanks for it saving their hands from injury many times. Learn never before taught breathing and gripping methods to blend with anyone. Activate an instant and deeper rapport when greeting them with a simple hand shake. The response is amazing and easy to learn. Practice exclusive techniques to build synergy in your wrists, hands, and fingers so they truly work together as they should to gain maximum gripping, striking power, and muscular strength at any any. This is invaluable for athletes – especially MMA fighters, golfers, and tennis players. Most gripping exercises develop tension in the wrists and that’s where the grip strength instantly gives out when the wrists flex continuously in combat. Master unique and exclusive sensitivity exercises that will instantly fill your fingertips with suppleness, electricity, and strength. Deepen your connection with your partner and all you touch with new energy, strength, and sensitivity flowing from your very fingertips. These FUN and downright “addictive” finger exercises will give your hands and fingers revitalized energy and strength that you can do almost anywhere – anytime. But Who Am I and What Do I Know About Finger Exercises? Hi and thanks for visiting me here! There is good reason I know a Lot about hand and finger strength, speed, dexterity, flexibility, energy, and what are the best things to do to help prevent carpal tunnel syndrome. Since early childhood, I have trained extensively and mastered many arts and disciplines that are dependent on one obtaining supreme proficiency of their hands and fingers. I've earned my living since my early teens from these various arts and disciplines that I ended up combining into an award-winning theatrical show you'll read more about later. Encouraged my amazing parents at a very early age, I began studying and performing many musical instruments. They even gave me the opportunity to study art and sculpting from a Walt Disney Studio artist. While in my teens, I began training in weightlifting, various martial arts, and sports. Yes, I know, these all are a VERY unusual combination of things! All these different skills obviously involved the hands in some way or another. For strength training and martial arts, I needed fingers of steel and speed. For music and art, I needed supple flexibility and dexterity. Until now there was no training on how you can optimally develop all these attributes at the same time. I spent many years trying out just about every finger exercise and every hand strengthening device invented! Because I've tested everything imaginable and trained in so many things, I definitely know what works the best and what doesn't work at all! Most of my life, I was constantly searching for the best hand and finger exercises that would meet all my requirements to gain optimal finger strength, speed, dexterity, flexibility, and suppleness. This course is the culmination of decades of training and testing throughout my career. And that's a real benefit to YOU because I've taken out all the guesswork and trial and error for you. Every ineffective or subpar exercise has been weeded out so you only have the best of the best for strength, speed, endurance, dexterity, suppleness, and flexibility. It was a life-long dream to create a theatrical show that combined piano playing, sleight-of-hand magic, illusions, martial arts, feats of strength, and demonstrate the sensitivity and beauty of art, painting, and sculpting all in an emotionally engaging show. Of course, every one of those elements demands the highest levels of hand and finger mastery and virtuosity. That's the reason why I was always obsessed with finding the best finger exercises that would also help keep my hands injury free! Happily that dream show finally came true after many years of not having a clue how I'd be able to pull it all off! Since then, I've been blessed to travel around the world performing in fantastic concert halls and venues from Carnegie Hall to the London Palladium, and from the famed Magic Castle in Hollywood to Las Vegas showrooms and high end luxury cruise lines. Through many years of traveling on the road, I discovered that when doing many of these finger exercises waiting in long lines, airports, red lights, etc., not only do they energize and relax, but easily have kept my hands in world-class shape year round. Especially as a performer, composer, recording artist, keeping your hands in top condition is paramount. Keeping your hands, fingers, and wrists injury free are also extremely important and that stands true no matter who you are or what you do. When I see people doing many novelty finger stunts and ridiculous flexibility stretches that could possibly injure their hands and certainly encourage paralyzing tension, or worse - carpal tunnel, that's when I cringe! I remember too well how I was led astray for years listening to self-proclaimed finger and hand "experts" who had little experience in what really generates maximum finger strength and flexibility without generating tension at the same time! Here's me doing 2 finger pushups on the side a drop down cliff. The photo is REAL and promise, NO magic tricks or gimmicks! In my performances and seminars, audiences' mouths drop when they see me play some of the most difficult piano pieces and immediately drop to the floor afterwards to do multiple pushups on 2 fingers ala Bruce Lee. But the truth is, it demonstrates that extreme finger strength, speed, and effortless tension-free dexterity and suppleness CAN coexist and can in fact synergize one's abilities to new heights. If you watched the video above, I think you can see there's no question my unique approach to finger exercises works. And, they deserve the best care and training, don't they? I encourage you to please not put the strengthening of your precious hands in the trust of some unqualified “expert” who has little experience. Nor with someone that's simply regurgitating what they've read or saw in a few books or videos that quite often contain conjecture and theories. Many finger exercises are nothing more than curiosity novelty drills and have little benefits for real world applications. Doing many of them can easily lead to debilitating tension, or worse - carpal tunnel - and that's the LAST thing you want to get. I've seen this debilitating condition sideline many top level athletes and performers. And the sad thing is, most often it could have been easily prevented. You want strong and dextrous fingers, right? Dynamic Finger Gymnastics will show you how to avoid many of the common mistakes that lead to undue tension and carpal tunnel. Your hands are like your eyes in a sense, they are the windows that reveal your strength, soul, passion, and creativity. How you touch everything reveals a lot about yourself in a myriad of ways. Unfortunately, most of us neglect the strengthening and care of our hands. Like eating, since we do it every day, we often think that we don't need any coaching or tips. Yet, when you optimize what you eat, your body begins accessing entirely new resources and immediately gives you more optimized performance in many areas. Creating tension-free energy strength and suppleness right down do your fingertips will open up entirely new avenues of creative expression. Everyone and everything you touch will sound and feel new and entirely different. Imagine have steel fingers ala Bruce Lee to do 2 finger pushups. Imagine having the strength to grab hold of tiny cracks in a mountains side with the tips of your fingers that can hoist up your entire body weight! When you're hands have new ways of moving, you touch and experience everything with a profound difference. So, I'm asking you here to imagine yourself having the suppleness, sensitivity, and flexibility of a concert pianist. These are just a few examples of how mastering how your fingers and hands move can transform your life. You can learn most of these things all in one place in this extraordinary course I'm offering you today. 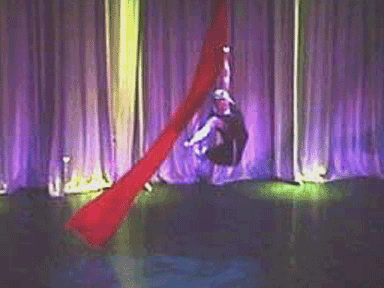 heads holding onto a silk with one hand! Yes, you may not want to fly over the heads of an audience like I do in my shows or think you can ever play the piano… But imagine how you could benefit from having this kind of flexible finger strength! From my lifetime of study and work, you’re going to learn what finger exercises really work most effectively and that give you maximum impact with the least amount of effort. I spent too many wasted years in the dark floundering and experimenting with many useless finger and hand exercises trying to optimize my performances in music, art, martial arts, and sports. Many of them I found out much later actually held me back severely by giving me excessive tension and sometimes even pain. Yes, I did a lot of really stupid exercises myself that literally crippled my career gains for a long time. Luckily I learned some valuable lessons soon enough and stopped doing them before I developed carpal tunnel - which could have sidelined me permanently like it has done to so many. What many don't know is that many supposed finger strengthening exercises are counterproductive to accelerating finger dexterity – and visa versa. Many hand and finger exercises can downright impair your dexterity and strength by encouraging inflexible tension and subsequent movement. It took me years to understand that I’d been doing so many things the hard way. Fortunately, my own frustrations, pain, and unrelenting persistence to excel compelled me finally to discover and create the exact finger strength exercises that will make your hands strong, supple, dextrous, and energetic into old age – while avoiding all the pain, frustration, and bad habits that I encountered along my own journey. For your sake especially, I hope you'll choose not to do things the harder way! In my Dynamic Finger Exercises, I will show you exactly how to develop BOTH optimal strength and dexterity at the same time without one diminishing the other – and without developing unnecessary tension with easy to learn exercises and instruction. The tips I learned after suffering deep searing pain in my shoulders and neck will help you immensely and if I do say so myself are worth the entire price of the course alone. Martial artists: You’ll gain unstoppable shredding fingertip power. Musicians and Artists: Now you can practice those endless hours perfecting your art with a much more effortless technique and virtuostic dexterity without being in constant fear of getting carpal tunnel with these proven methods. Ultimate MMA fighting warriors: You’ll develop flexible steel strength in your fingers and wrists that will feel like the deep bite of a sabertooth tiger to your opponent. Ladies: develop the finger strength to open any jar or pop off a champagne cork without any assistance and lift more than you ever thought possible. ANY Athlete – ANY Sport: develop a flexible vice-grip to catch any ball without fear of dropping it or getting it knocked out of your grip and losing the perfect scoring shot. The kind of flexible grip strength and finger strength I show you how to develop will give you the winning edge without a doubt. As I've repeated, most grip techniques create stiff and inflexible power. "They're FUN and You Can Do These Anywhere!" These powerful finger strength and finger dexterity exercises are FUN and easy to learn. What's awesome is that you can do anywhere – any time. What's really cool is that you don't have to dedicate any extra time to practice them. You already have more than enough time sitting in your car at those excruciatingly long red lights in traffic, standing in grocery store and bank lines, watching tv, or long energy sapping and tedious seminars and business meetings. During these usually unproductive and dull moments, why not engage your fingers and hands to do invigorating energy enhancement movements and relax your flow of energy ?! Dynamic Finger Gymnastics gives you a huge array of ways to energize your hands and fingers. Many of them you can do even sitting in an airplane seat and the people next to you will be completely unaware that you're exercising, relaxing, and energizing yourself. You can do all of them anywhere without any bulky, inconvenient, or tension building mechanical equipment. If you ever see me out in public and look closely, you'll see me doing my own exercises described here. And, quite often you'll even see me traveling with this amazing finger putty detailed in this course that not only develops fantastic finger strength and dexterity like nothing else - but also relieves a lot of stress and is so fun to play with that it’s downright addicting. One of my favorite benefits is that you’ll be learning unique techniques that really help you flow your energy and breath through your hands. This alone greatly enhances your work productivity, creativity, and focus for work and play. Again I didn't put together a bunch of exercises to sell you a bunch of fluff to make some a quick buck. These Finger, wrist, and hand strengthening exercises are the very same ones I do myself year-round as I travel on planes, trains, and automobiles throughout the world going from one concert performance to the next. Almost all sport activities put the hands, fingers, and wrists in compromising positions placing injury at any given moment almost a breath away. The muscles and tendons stretch only so far before they snap and can bring on serious injury. This unique finger therapy, wrist, and hand strengthening course also emphasizes the other extremely important component which is stretching the wrists, elbow joints, shoulders, and fingers in very specific ways. If you don’t know the proper way of stretching the fingers and joints, you can actually promote tension and encourage carpal tunnel. This is a very important ingredient which has kept me injury free for my entire career since playing 5 musical instruments (on the Regis Philin show at age 5 shown here) and throughout my career as a performer, martial artist and strength trainer. If you don’t have it already, it's really important you need to completely understand how to prevent carpal tunnel if you do any kind of repetitive action or are involved in any extreme sports! Weak muscles do not effectively contribute to full rehabilitation. It’s fine to maybe use a brace for very short periods of time, but you do not want to become dependent on braces, you want to keep it from coming back! But, not only do the muscles often get weaker because you’re not using full range of motion during this time, but when the braces come off without proper knowledge of alignment and how the muscles REALLY function optimally, you go right back to recreating the actions that created the problems in the first place! A vicious cycle I see repeated over and over again. I want to help you CURE the major cause of the carpal tunnel, not just to temporarily get rid the symptoms by wearing braces. I remember Not so long ago, people thought that musicians would be exempt from getting carpal tunnel because they were constantly using their fingers and were obvious "experts" and because of their apparent flexibility, dexterity, and strength. But, sadly, carpal tunnel has become a common occurrence even with them. I practiced 8-13 grueling hours a day for many years to win 13 international competitions in both music and magic. These competitions were like the Olympics held every 2 to 4 years and the best of the best competed. I can tell you first hand, most of the time, there are ways to avoid carpal tunnel syndrome. With my finger thearapy, strengthening, and stretching techniques, I’ve never once suffered from carpal tunnel or any similar injuries that sidelined my career in any way – unlike many of my competitors who dropped out of competition and even music altogether for good having practiced far less than I ever did. most of the time, carpal tunnel could have been prevented in the first place by proper knowledge of how alignment of energy and body structure should be executed and practiced on a regular basis. I reveal how to avoid the common mistakes and exactly how to even sit correctly for long hours to help keep you injury free. You’ll say “good-bye” to shoulder pain as well with these proven techniques. “My fingers are now supple plus much stronger than ever before.”I’ve been using Finger Gymnastics for 7 days now with tremendous results. Old martial arts injuries from repeatedly hitting heavy punch bags damaged my finger dexterity. Yet thanks to these exercises from Garin my dexterity is now quickly returning. My fingers are now supple plus much stronger than ever before. Only a select few have earned the title of Virtuoso Pianist, even fewer have earned the title of Master Illusionist. To speak of a man who holds both titles is to speak of one special artist…Garin Bader. Learn to Flow your energy and relieve shoulder tension and stress. Very few people ever realize that all the tension in their shoulders can be vertually eliminated if they learn to let the energy flow all the way out to their fingertips. The energy gets blocked through stress and it’s actually the stimulation of the hands that can relieve much of that. In Finger Gymnastics, I show you exactly how to do through cool exercises, proper stretching, and precise seating positions at your desk. I thought I knew the secrets to a strong grip and agile dexterity but after learning Dynamic Finger Gymnastics it opened up a whole new world to me. I’m a Combat Conditioning devotee, I also bend steel, rip phonebooks and lever sledgehammers. Gymnastics.” I bought it and did a lot of the exercises. 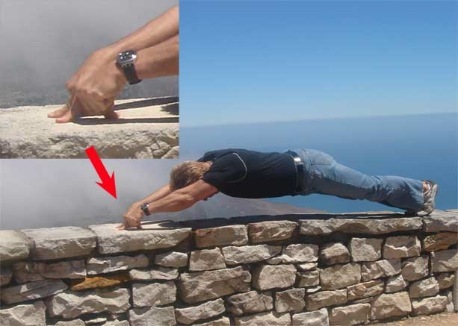 I tried the same wall push-ups with my fingertips today. Practically no pain at all. I’m not strong enough to do fingertip push-ups on the floor, but my right fingers, hand, and wrist support my weight with no pain. I never thought I’d find a solution to my problem. Two months with Garin’s “Finger Gymnastics” did the trick. Thanks, Garin, for the great results and for your customer service. Both far exceeded my expectations. Your putty exercises are definitely the most addictive of all the exercises in Finger Gymnastics.”P.S. The effectiveness of of all the exercises in Finger Gymnastics.”P.S. The effectiveness of your program is only matched by your customer service. Who expects personal, caring customer service from owners of Internet businesses? Not many of us. As you know, an opponent in martial arts never stands still in combat or impassive like most gripping machines or devices force you to do. Live human beings twist and turn violently trying to gain the advantage. While trying to maintain your control over your thrashing adversary, your hands almost will never be in the optimal positions that training exclusively with traditional exercises can give you. That’s why your fingers need to be trained along with your hands and wrists. They all need to be strong at any angle. They need to be able to re-grip repeatedly aggressively – and fast! There’s no tolerance for clumsy and weak fingers especially in competitive sports. Most grip and finger exercises don’t give you this at all. Finger Gymnastics does! Almost all sport activities put the hands, fingers, and wrists in compromising positions placing injury almost a breath away. Your muscles and tendons can stretch only so far before they snap and put you out of business. 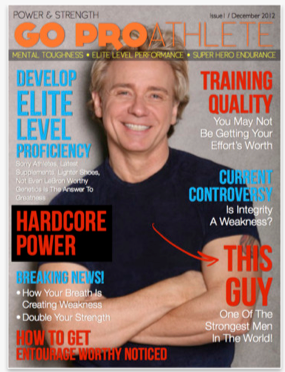 My super hand strength course will show you why you need to focus equally on both stretching as well as strength building – not only for optimal power but also for quicker healing from the rigors of training and constant use. Now you can give your hands the respect they deserve and tools they need to express yourself not only with vastly enhanced, strength, dexterity, and endurance – but as expressive tools for better rapport with others and greater artistic articulation. Sharpen them, strengthen them, and learn to keep them young and dexterous without tension and pain. Video - The Instant Rapport Building Handshake and How to Protect Your Hands Against the Obnoxious Hand Crushing Bully. If you act now, you’ll also receive access to a BONUS VIDEO (15:41 minutes) that includes a special video on how to protect your hands against those unwarranted painful “I-want-to-prove-something” handshakes. If you’re wearing rings and caught off guard by some thoughtless knucklehead who gives you a crushing handshake in the off moment, it can be excruciating if not downright debilitating. I shake hand with thousands of people every week after my performances every week and will tell you there’s always a Bozo who wants to show off their strength or are completely oblivious to their overly aggressive grip for a amicable and shake. I've seen both men and women grimace in pain. Your BONUS video will give you a fool-proof method that will not only will keep your hands safe from those rings cutting into your flesh, but will instantly and surprisingly keep your fingers and joints from suffering any kind of pain or damage in any way. And there’s more to this exclusive offer..
You’ll learn an easy-to-master method where you can easily overcome a serious adversary’s powerful grip and almost effortlessly control and diminish their strength and energy almost instantly. The technique shockingly multiplies your strength advantage in milliseconds regardless of your size or gender to take their center and balance away from them and move them right out of your path. Lifetime Access to New Finger Exercise Videos. Fresh new videos will be included that are inspired by answering questions by clients like yourself. One was just added recently is a powerful exercise for strengthening and loosening up your wrists for greater flexibility and whipping power with a towel. A powerful exercise for strengthening and loosening up your wrists for greater flexibility and whipping power. 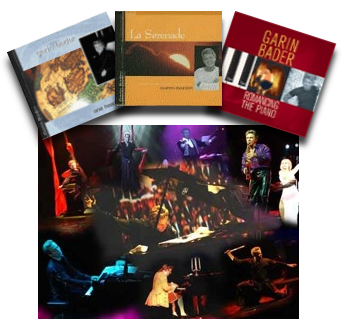 “Live” video performances some of my original piano compositions AND, there’s always new videos and content being to answer questions and give personal help. An easy exercise for your wrists to give you not only great strength but grace and flexibility as well. Your Hands Will Take on New Life, Energy, and Power. It doesn’t matter whether you want to play a musical instrument, create sculptures, do two-finger pushups, do want to play a musical instrument, create sculptures, do two-finger pushups, do weight-lifting, or engage in lethal striking and grappling combat. These exercises will prepare you with extreme power and strength for all and any activity. The price you see now is an introductory price and can change at any time. For this reason, I encourage you to invest in this course now before this price slips you by. Remember Dynamic Finger Gymnastics comes right now with lifetime free upgrades. I can't hold this promise forever. But what this means for now is that when I add bonus materials later and increase the price, you can get the bonuses for Free if you are quick enough to buy now. In fact, because I truly think I’ve created one of the best deals you’ll ever find for strengthening your fingers, wrists, and hands on every level, I’m going to give you a great 30 day money-back guarantee as well. Get the entire Dynamic Finger Gymnastics course for a small one-time payment of just $47! Note that you have a 30-day money-back guarantee to act now. So really, you can easily see that the risk is on me and you have Nothing to lose. P.S. My unique finger strengthening system will give you the quickest, easiest, and simplest ways to increase finger, wrist, and hand strength while vastly improving speed, dexterity, and protecting my hands from serious injuries. Again, thanks for visiting my page and look forward to seeing you in the training and answering all your questions!